Cook with old-fashioned style directly over a campfire. This durable steel tripod makes open flame pot cooking nice and simple. Features include heavy duty iron construction, sturdy adjustable iron chain for hanging cast iron cookware and easy fold up for storage and transportation. Storage bag included. From meal time to card games, this camp table is essential for any outdoor gathering. Adjustable height makes it comfortable when standing or sitting. Collapsible and built of lightweight aluminium, great to store and take with you where ever you need it. Durable carry bag included for grab and go adventures. 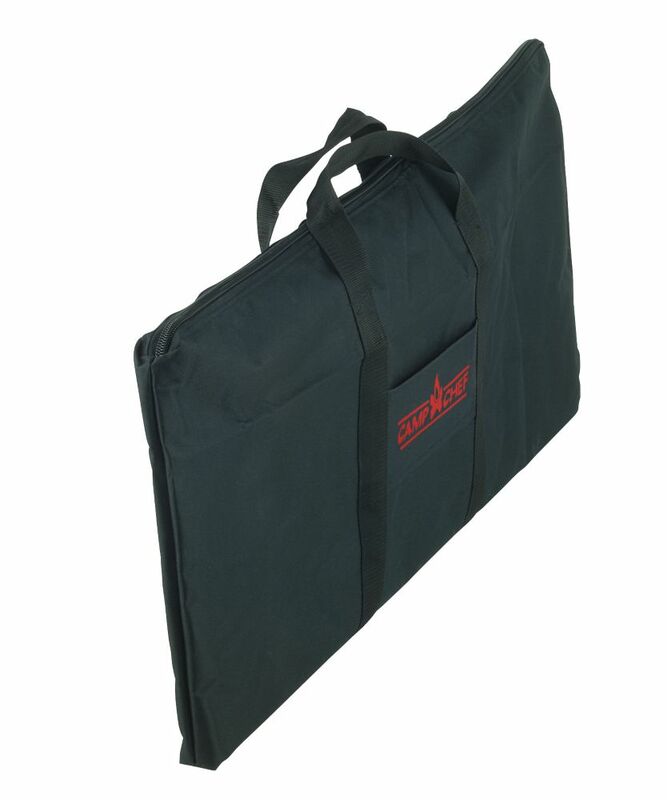 14 inch x 32 inch Griddle Carry Bag is rated 5.0 out of 5 by 1. Rated 5 out of 5 by Flame815 from No more road grime Makes hauling the large griddle with more ease. Keeps clean traveling. Keeps surrounding stuff from getting greasy.